When dealing with damage, pain or brokenness it is almost always apart of human nature to feel the need to fix or repair what is no longer in its original condition. The methods in which we choose to conduct this reparative work varies often from person to person and usually from men to women as well. It is often executed with consideration of the purpose for the repair and how the outcome should look and/or work. Spelman’s Repair underlines the difference between men’s repairs versus women’s repairs and their relationships to the ethics of justice or the ethics of care. In discussing the different types of repair work, Spelman makes an important point in saying that there is a distinct difference between the way men make repairs and the way women make repairs. In today’s society, men and women have adopted certain standards and stereotypes that they are expected to follow and if they do not, they are considered outcasts. Men are expected to be strong, do-it-yourself workers and handle the types of repair work that women are seen as “unfit” to do. They are often defined by either their ability to do skilled manual labor or their “domestic masculinity” as described by Steven Gelber. Historically, women have always been expected to be household workers or to repair and mend clothing. This is a precedent that may have been established during slavery when women were expected to care for the home and during the era of industrialization when women would work in textile factories. While enslaved, women would often be assigned to household tasks such as cooking and cleaning which have since carried on to become their stereotypical roles in the household. Katie discusses the household tasks that she learned how to do such as “how to mop the floors, how to pick the strings up after the mop, how to dust so that you don’t break things, how to wash windows and wipe down the blinds, the whole mechanical system of how to clean a house”. Because of this role women adopted, they were soon seen as unfit to do more intense, demanding jobs which were then labeled as jobs that men were meant to do. During the era of industrialization, women were sent to work at textile factories while men handled the more dangerous and/or labor intensive jobs. These factors both played parts in creating the stereotype that still lingers to this day that women are not fit to do the more demanding jobs that men are capable of doing. Women to this day are expected to continue to work around the household and work to repair clothing which has negatively affected their self esteem and confidence. To be reduced to household workers and not expected to succeed beyond that has turned into a challenge for women. In today’s society, although that stereotype still lingers, women have challenged themselves and pushed themselves to become more than just repairers of the house and of clothing. Young women such as Simone Biles and Laurie Hernandez have found themselves at the olympics, women are in office, they are successful singers and business women such as Beyonce and the list goes on and on. Society’s standards only restrict human capacity, not enhance it. Women now actively try to rid young girls of this stereotypical role that society encourages them to follow which has pushed many children to dream big and aim for their goals. Disregarding those standards can bring amazing success and highlight just what one is capable of. For women, it has brought them beyond repairers of the house and menders of clothing and has brought many opportunities that may not have presented themselves had they stayed limited to what society has expected of them. In addition, they are also expected to mend relationships and be “ healers of rifts, menders of hearts” (Spelman 42). In having to uphold these gender-associated stereotypes and expectations of society, men and women have seemed to have adopted certain characteristics that correlate to the way they are expected to act in society and respond to issues. Through these standards, men have more often than not become colder and tougher than their female counterparts. Being emotional and affectionate are seen as weaknesses in men, whereas they are predominantly common attributes in women. Due to this cold, tough persona many men have acquired, they seem to respond to issues and situations that need repair with the same tough and unemotional attitude. Men often use the idea of “ethics of justice” when dealing with conflict which “emphasizes the autonomy of moral agents, their capacity to govern themselves and not be swayed by the people around them or by powerful emotions of the moment” (Spelman 45). This concept repairs keeping laws, principles and rules in mind and does not consider the emotional aspect of the situation. On the other hand, women repair using the idea of “ethics of care” which focuses on the relationships involved, considers the emotions invested in the situation and is “unconcerned with consistency across cases” (Spelman 45). What interested me in Spelman’s discussion of the “ethics of justice” and the “ethics of care” is how similar they are to today’s societal expectations. The “ethics of justice” orientation is most commonly associated with men likely because of the standards and expectations that society has placed on them. Because of the tough, strong image that men are expected to uphold, many men follow the “ethics of justice” orientation due to its lack of connection with emotions and its compliance with laws and principles. The “ethics of care” orientation considers relationships and reflects on the emotions involved in the moment which is more closely connected to women and how they are expected to be caregivers and mend relationships. Women therefore use contextualized knowledge of the situation to determine how to mend it whereas men will disregard its context and repair it in accordance with the law. This highlights how women often seem “softer” than men because for a man being “soft” or emotional is seen as a weakness. However, in Willie’s case it is clear that he takes pride in being able to contextualize and consider every aspect of every situation he is handed and care for it accordingly. He does not repair automobiles in the way society would normally expect. He takes greater care of each car considering the context of the situation and knows exactly what parts will and will not work in order to maintain the car’s previous function. Unlike the orientation of “ethics of justice”, Willie looks at every aspect of a situation and every way in which he is able to repair it. This method of repair seems more reliable and the care he takes in repairing his automobiles seems to be greater than most repairmen. But those qualities do not exactly match up with what today’s society might expect from him. This makes me wonder why men and women have such different societal expectations and ways of repairing when mixing the two could be very beneficial. Willie’s example shows how disregarding the way society or others expect one to function and repair can be beneficial and show one’s own uniqueness. “The Human being is a repairing animal,” is the first sentence in Elizabeth Spelman’s Repair. The human being is indeed a lot of things. We eat, we breathe, we sleep, and we repair. Repair may seem like such a small, unimportant thing on the large scale of things. It may seem as if eating, breathing, and sleeping are way more necessary in life, but the reality is that those are the subsections of Repair. See, eating, breathing, and sleeping are ways that our body repairs itself. If we didn’t do those things, we would eventually die or get sick. Damage is bound to happen at any given place, at any given time in the world. Things happen all the time. People break things, people get sick or injured, people fight and feelings get hurt. These things are all very different from each other when you look deeper into it. Objects get broken and they can be fixed almost always very easily. If its something like a bike or a car a mechanic can look at the problem and use tools to fix it. If someone is sick, they go to the doctor and are prescribed medicine to get better and if they are injured they can wear a cast or use crutches until they are better. When it comes to relationships, people do fight and when that happens apologies can be used to make things better. Long story short: when damage occurs, repair is needed. Elizabeth Spelman does a great job of explaining the importance of repair and different ways us as humans are always using repair in our lives. She explains different gender roles and tools used by each gender. In chapter 1, Spelman looks deeply into the different kinds of repair. She introduces us to people and the types of repair that they use in their every day lives. She links the different types of repair to the different characters in the book that she introduces to us, which gives the reader a different outlook. I found this interesting because I never really realized that there could even be types of repair. In chapter 2, she gets into detail explaining how women and men both repair, but do so in different ways and use different “tools,” in their repair work. She goes into how women are repairers of many things in the household, whether it be relationship mending, or heeling the family. They use words as their tools, unlike men who are almost always linked to jobs such as mechanics and carpenters who use actual tools to repair real-life tangible objects. This is interesting because I do think of women as emotional repairers, but not only that. She goes into the past which links us to slavery and women’s rights and how it makes sense if you look at it Spelman’s way. For example, the first person that came to mind is my mother. I do not only think of her as an emotional repairer, I think of her as a hardworking teacher as well. My mother works extremely hard outside of the household. She is a teacher and a coach at a local gym. Sure, she does a lot of repair and she is a great woman of words who is a great problem solver, but she also is an extremely hard worker and I feel as if Spelman did not really mention that aspect of women’s work and outside jobs in her writing. In chapter 3, Spelman explains how women are linked to care ethics, which I definitely agree with. Spelman has an interesting way on looking on the different aspects of gender roles. Before reading, I was never really one to separate men and women and categorize them into different jobs and tasks or assign them to “tools.” When I have been in situations in my life where I needed repair and someone has helped me, I never really thought of the way that I was being repaired or helped. If I had thought about this before, it would have made more sense to me what Spelman was saying. Going back to chapter 1 when Spelman introduced us to Willie, Fred, Louise, Elisabeth, and Irene. They all had different methods of repair and wanted their objects to be repaired in different ways. Willie wanted to fix the item so that they would work again, Fred wanted to turn them back to their original state, and the girls wanted to fix the items with as little work done possible, so it was not obvious that it was fixed. I found this very interesting because I would have never even realized the different types of repair that exist. Overall, Repair is an intriguing book so far and Spelman does a great job at explaining how although damage is inevitable, repair is always possible. And although relationships are always going through struggles, objects always need to be fixed, and people are always getting sick, there is always a way to mend. 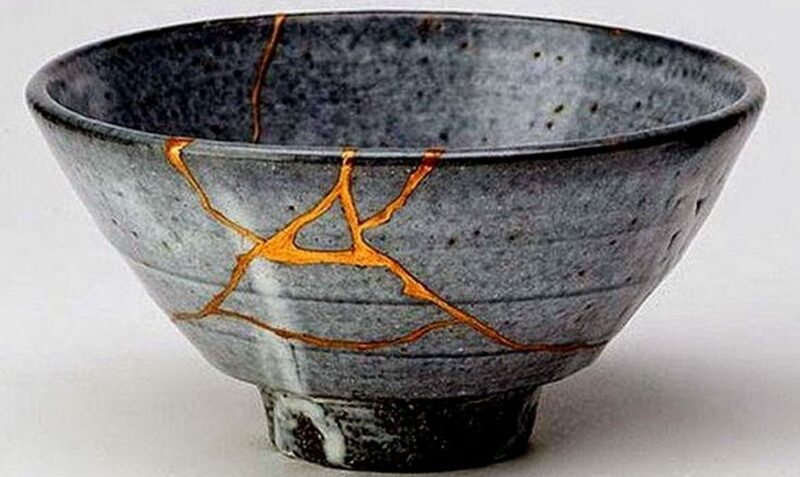 When something is broken, we as human beings make it our goal to repair it; however, not everything can be repaired, and perhaps not everything should be repaired. Elizabeth Spelman talks about physical ruins such as the Acropolis in Greece in order to make hint to physical things that shouldn’t be repaired because of their great teachings about ancient societies in both their life and death. We cannot make “Babylon, Palmyra, Troy, Angkor Wat, the Acropolis, Tintern Abbey, [or] Machu Picchu” (Spelman 103) as whole as they once were, in fact we may run the risk of destroying them altogether in an attempt to repair them, so therefore we leave them alone to rot into extinction without further human touch. So what should be done with abstractions that are be left to the weathering of interactions, such as relationships and ideas, along with those ruins? Ruins can function as some of the most useful tools for us to see the past. Whether it be practical history or connections to the spiritual world, ruins can offer us insight into the past. Some people see “ruins as [an underscore of] the difference between imperfect, palpably mortal humans and a perfect, immortal God” (Spelman 106-107), personifying the spiritual aspect of disrepair. Ruins show humans that we are not entirely good at making things last. Our cities crumble, our civilizations fail, and we survive solely on a succession of consecutive failures which only stand to exist so that we can progress more toward perfection. We do not attempt to repair these things but instead to one-up them in another inevitable failure. It is these failures, in essence, that make us human and divide us from God, who is perceived to be the highest standard of perfection that we only know how to achieve through death, a standard which lacks the need for repair as everything created will live on in perfection. In a more specific example, however, “at least some contemporary American Indians [see] the ruins of ancient tribal communities…not [as] places where ancestors used to live but where their spirits still reside” (Spelman 110). Native Americans view their surroundings as the events that had occurred within them, according to this observation by Spelman, so upon seeing abandoned villages of their ancestors, they see it as still filled with spiritual life, thus not needing repair. In this sense, our dead relatives can teach us a lot about our apparent desperate need for repair that perhaps is not necessary at all. Repair is also questionable in use for human bonds. The examples that Spelman relied on was that of Holocaust survivors and how their minds and attitudes are scarred by the atrocities that they prevailed through, but sometimes repair isn’t necessary on a much smaller scale. Quite vaguely, Spelman closed chapter six with the words “the forces of evil…cannot do irreparable harm. But sometimes they can” (Spelman 123), which can be interpreted in several ways. This first depends on one’s definition of evil: villainous people, school bullies, death, etc. In my definition, evil surrounds death and departure. Death might mean putting down the dog that you’ve had for fifteen years. You’ll probably get over it with the sight of a new puppy in Fido’s place, making this evil not irreparable, but what of when a relationship ends? We all know the saga of the couple who goes through a “rough break-up” twice a month, but what of the more final break-ups, the ones in which there is no turning back from? It could end from infidelity or a lack of love but either way it will be followed by the death of a relationship and the departure of both parties. In that sense, the evil that followed their relationship is irreparable. This evil fractured the lives of two people and brought them apart. Irreparability is very flimsy. If not caught in time, repair is not an option for a civilization or relationship. But if caught in time, repair can be done and either can continue to stand strong. It all lies along the line of whether or not humans are in good enough of a conditioned to repair other things rather than themselves and their willingness to do so. An apology is a form of emotional restoration. Just like the care of ethics, apologies are necessary to sustain and build relationships. Having to apologize to another person can at times be a difficult task. I found the passage above interesting because I personally understand how hard it can be to swallow your pride and take ownership of your wrongdoings. Learning how to apologize and repair broken bonds is a skill that I believe improves with age and more importantly maturity. To be considered a sincere apology the apologizer must be willing to be completely vulnerable to the one they wronged. If an apology is done for the mere sake of apologizing, that apology means nothing. Spelman elaborates and explains that a “sincere apology requires and thus exposes certain emotions in the apologizer”. Often times, during an apology, the apologizer will reveal the underlying reason for why they may have wronged the person they hurt. Jealousy, rage, mistrust, and disloyalty are all qualities a person can take ownership of in attempt to repair the relationship they may have strained. Being able to accept that the person you are apologizing to may not necessarily accept your apology is a daunting task. Spelman explains this using the analogy of an invitation to dance. The apology must not just be considered or acknowledged, but accepted and the two parties must engage to further repair the broken bond. As an apologizer, there is no control over whether the person wronged will accept or decline the apology given, but the sincerity of the apology can heavily affect the outcome. I chose to highlight this portion of Chapter 4 in Repair because learning to apologize has been something I personally have struggled with from a young age. With maturity apologizing has become a more meaningful task for me, and not something that I feel obligated to do regardless if I believe I was right or wrong. The word apology is defined as, “a regretful acknowledgement of an offense or failure.” Simple as that, and never really looked much deeper into. If you accidentally bump into someone, you apologize. If you spill a drink on someone’s shirt, you apologize. If you get into an accident while driving your parents car, you apologize. That is just the nature of things. The words “I’m sorry,” seem to slip off the tongue so easily, we don’t even think about it most times. The examples listed above are small examples of things that can occur all the time in the motion of life. People make mistakes all the time and for most mistakes we think we can use the words “I’m sorry,” to fix them. In chapter 5 Spelman really focuses on apology and how apology is a form of repair, but what constitutes a real apology? “In order to apologize- really apologize, and not just utter some words- for something one has done or failed to do, one has not only to acknowledge responsibility for but express sincere sorrow and regret over this action or inaction…it must be clear that he regrets what he has done and feels sorrow over what he has wrought,” (Spelman, 82-83). According to Spelman the words “I’m sorry” do not constitute a real apology. The person who is apologizing must sincerely know what they are apologizing for and express regret. She also states that apology is only used for harm. If there is no harm, there is no need for an apology. “Apology is inappropriate if what one has done does not really constitute damage,” (83). She explains how apologies have two sides and that the apology is the repair, but the forgiveness of the apology is the other part of it. “An apology is an invitation to share in a ritual of repair, in a dance that takes more than one dancer,” (85). Spelman is saying that situations where humans need repair are a completely different story than when an object such as a car needs repair. She states how a car does not need forgiveness in order to be fixed, but human relationships do. Both parties have an input in the repair process and if the person being apologized to does not forgive, then there really is no repair. This is important in situations where an apology cannot make things better. Such as 9/11, the Holocaust, or going back in the past to when slavery existed. An apology is not going to make the horrible memories go away, or people’s loved ones come back to life. An apology in cases like these are meaningless. Sometimes somebody taking action and speaking for a group of people can make things better, but still does not repair the harm placed on the victims. For example, Spelman states how President Bill Clinton was not responsible for the horrors that black men went through when their syphilis intentionally was untreated during the four decades of the Tuskegee Study (1930s to 1970s), but in 1997 he apologized to the survivors and their families on behalf of the American people. Obviously this does not repair what the victims went through at the time, but it makes things better and proves that a group of people believe what happened was not okay. Spelman introduced me to a new view on apologies. I never looked much into the two simple words that we say all the time, on a daily basis. “I’m sorry,” in fact does not have much meaning behind it at all. A real apology comes from the heart and even sometimes a real apology cannot mend the wounds created in the past or wounds that are too big to be healed on such easy terms. Apologies are extremely important when it comes to repair and I know most times we think we can just say sorry, but there are different levels to repair needed and sometimes sorry is not enough.